Farley: "This potential alliance with the Volkswagen Group is another example of how we can become more fit as a business." DETROIT -- Volkswagen and Ford are exploring a development and production alliance for commercial vehicles, including vans, and possibly other projects that could strengthen both companies' competitiveness. Ford, in a statement, said the two automakers have signed a memorandum of understanding allowing them to explore "potential products across a number of areas -- including developing a range of commercial vehicles together to better serve the evolving needs of customers." The statement said the potential alliance "would not involve equity arrangements, including cross ownership stakes." Some preliminary talks have already been held, one source told Reuters earlier on Tuesday. 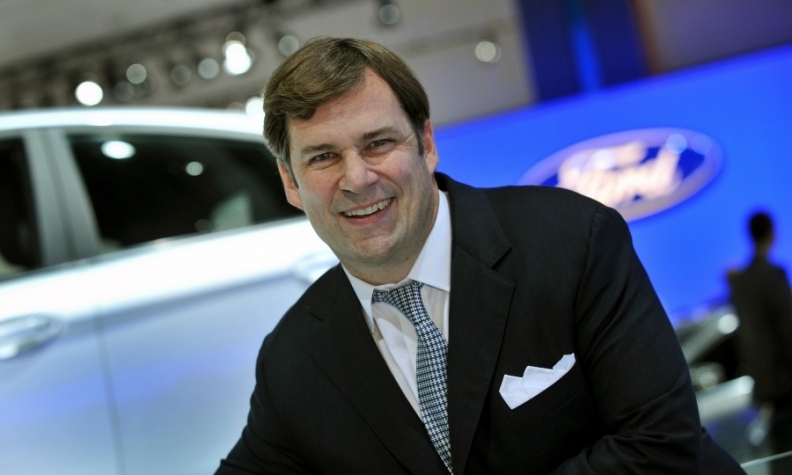 “Ford is committed to improving our fitness as a business and leveraging adaptive business models – which include working with partners to improve our effectiveness and efficiency,” Jim Farley, Ford’s president of Global Markets, said in the statement. “This potential alliance with the Volkswagen Group is another example of how we can become more fit as a business, while creating a winning global product portfolio and extending our capabilities." VW, which owns the MAN and Scania truck brands in Europe, earlier this year formed a commercial vehicle alliance with Japanese truckmaker Hino Motors, a Toyota affiliate. VW and Hino said they would consider cooperating in areas such as diesel and gasoline-electric hybrid engines, connectivity and self-driving technologies. VW also has an alliance with Navistar International and has said it is open to buying a majority stake in the U.S. truckmaker. Automakers across the globe are exploring ways to share expenses for developing light commercial vehicles, including electrified models, as cities from Paris to London to Shanghai push for models that will help them improve air quality. The tightening restrictions come at the same time that demand is rising for delivery of goods rising due to increasing popularity of online shopping. VW had cooperated for years with Daimler to produce vans, but the German peer ended the joint project several years ago. Eckhard Scholz, the head of VW’s light-commercial vehicle division, told Bloomberg News in October that the company was exploring ways to work together with other manufacturers. Evolving emissions rules were one factor prompting the talks, he said then.